The Columbia Gorge Discovery Center & Museum offers both permanent museum exhibits as well as short-term special exhibits. Our permanent museum exhibits parallel our mission of inspiring appreciation and stewardship of the Columbia River Gorge National Scenic Area and Wasco County through collection, preservation and interpretation of cultural and natural history resources. 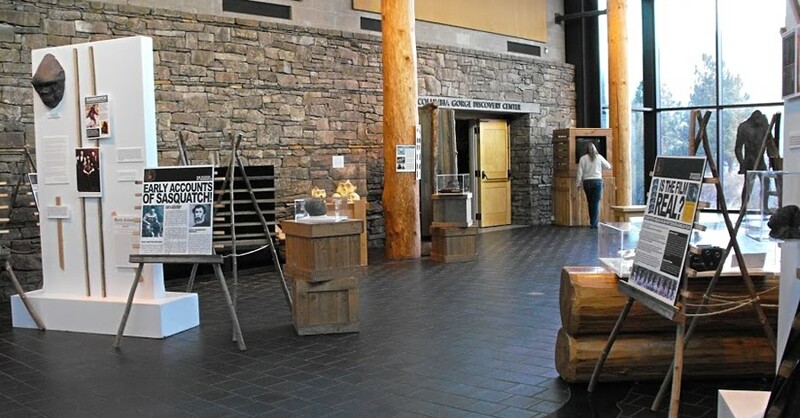 Cultivated from the input of our community, supporters, staff, and visitors, the Columbia Gorge Discovery Center and Museum offers a variety of exhibits throughout the year. Columbia Gorge Discovery Center & Museum regularly coordinates with other museums to bring traveling exhibits to our visitors. Our newest exhibit is HIGH VOLTAGE – BPA & the HVDC Test Center 1963-2017 which runs through the end of May. We’ve hosted several traveling exhibits over the past few years, including the Smithsonian’s “Bittersweet Harvest: The Bracero Program 1942-1964”; Oregon Historical Society’s “What if Heroes Were Not Welcome Home: The Nisei American Soldiers of WWII”; Oregon Museum of Science & Industry’s “Brain Games”; and “Sasquatch Revealed,” curated by Christopher Murphy for Yale Historical Site in British Columbia. Have a great idea for a future exhibit? We would love to hear from you! Send an email to info@gorgediscovery.org.